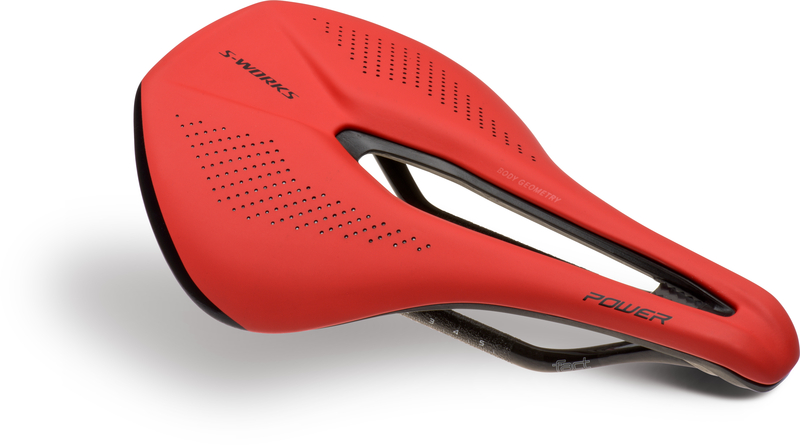 Today the Specialized Power saddle was announced and it’s an iteration in their Body Geometry line but more importantly along with the saddle’s arrival to market, is a not-so-serious side of Spesh not often seen by the public or media. The saddle’s nickname of Happy Pink Taco – as opposed to an angry one – and related jokes started with lighter, humorous discussions, often after recovery beers. Well it totally does work and yep with a few snickers and smirks. Also note that as with most everything in the bike industry now, it’s exceptionally well-designed, compared to just a few years ago. That’s when you got a Rolls, or something similar, and broke it in for weeks on end, and whether it hurt or not. Here’s the embargo-expired-this-morning quick video with the rest of the HPT story and review to follow in issue 22 of our magazine. Jokes aside, the Power is a serious performance development from Spesh with all-day comfort, AND an aggressive time-trial position. Being on the rivet, as roadies say and meaning on the nose of the saddle, has never really been “comfortable” until now. Ask your bike fitter or Specialized shop about getting the Power for your bike. Subscribe now to read the rest of the Power saddle story in our magazine when it ships.